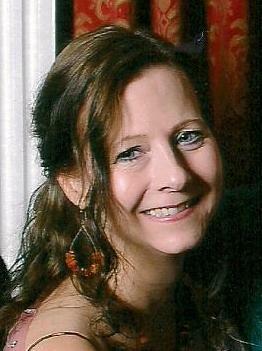 Today's guest is Henriette Gyland. Welcome! He will be wearing the customary uniform of the highway robber: the cape, the tricorne hat, and the mask, and he will most likely be a gentleman by birth because he rides a horse, and horses are expensive. Only the most desperate of circumstances would have forced him to break the law. Perhaps he is a victim of an injustice perpetrated against his noble family, or a widower with five children to feed and clothe. He will rob his victims in a humorous and genteel manner, flirting with the ladies and not humiliating his male victims too much. The reality was, of course, a lot less glamorous because these men were often violent bandits and sometimes murderers and rapists as well. So why does the romance persist? Why did people write songs and ballads about highwaymen? Why do they feature in books and films as dashing heroes? No one wrote songs about common footpads and pickpocket – what we would call muggers today. Burglars, embezzlers and pimps are also beneath our contempt yet the highwayman remains elevated to an almost mythical status. I think the explanation lies in our admiration for their daring, and their devil-may-care attitude. A lot could go wrong when holding up a carriage, and therefore it took courage. The horses could bolt if startled, potentially leading to injury to the robbers as well as the victims in the process. The coachman and his co-driver would likely be armed (and some passengers too), especially if the journey involved traversing a desolate area such as Hounslow Heath where The Highwayman’s Daughter is set. 18th century pistols only contained one shot, so the highwayman had to carry more than one as there would be no time to reload if he had to fire his pistol. There was also the chance of pursuit if other (armed) riders came upon the coach while the robbery was in progress, or it could even be a patrol of redcoats. And finally, there was the risk of disclosure or betrayal when the robber had to dispose of those stolen goods, which were not in ready coin. You may ask why I have chosen to perpetuate the myth of the romantic highwayman in my book. The answer is that I did that precisely because it makes for a dashing hero and a gutsy heroine! What could be more appropriate in a work of romantic fiction? It's very interesting that such a myth survives, when it's so very different from reality. But I love that sort of thing. This story sounds wonderful - I really want to read it! I would love to read this book, it sounds absolutely perfect! Oh, awesome! Loving the cover and the sound of it. Highwayman..cool. What a fascinating myth. I had no idea. Thanks for sharing. True, despite all the negativity and bashing social media enables sometimes, a lot of people still believe in redemption and humanizing the "villains"
I never get sick of reading about a dashing hero and a gusty heroine, so I'm excited to check this out! I love Alfred Noyes' poem The Highwayman, and Loreena McKennitt's musical version. Romantic and tragic! I love this. It sounds really great. Thanks for the giveaway. I wouldn't want to meet any highwaymen, thank you very much. Great post, I didn't know about the highwayman myth. The book sounds good! Hm. I don't think I've ever read one with a highwayman as the hero. Maybe once long ago. There is something romantic about "highwayman" rather than just violent thief. Great post thank you. It sounds like an amazing romance. I would love to read it. Thanks for having the giveaway. I would love to win The Highway Man's Daughter. No need to enter me, but I love the concept of the "romantic" highwayman. Of course it helps the one of y favorite poems is "The Highwayman" by Alfred Noyes. Thank you for the chance at winning this book. I love the cover and it looks like a great read. Have a great day! I LOVE Choc Lit publishers as they have such a fantastic range of AMAZING books! 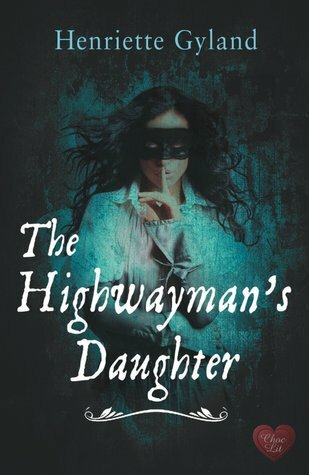 I am so excited about "The highwayman's daughter" and so would love to be entered for this brilliant book giveaway. Hello ... I am really really interested, please enter me in the givaway!